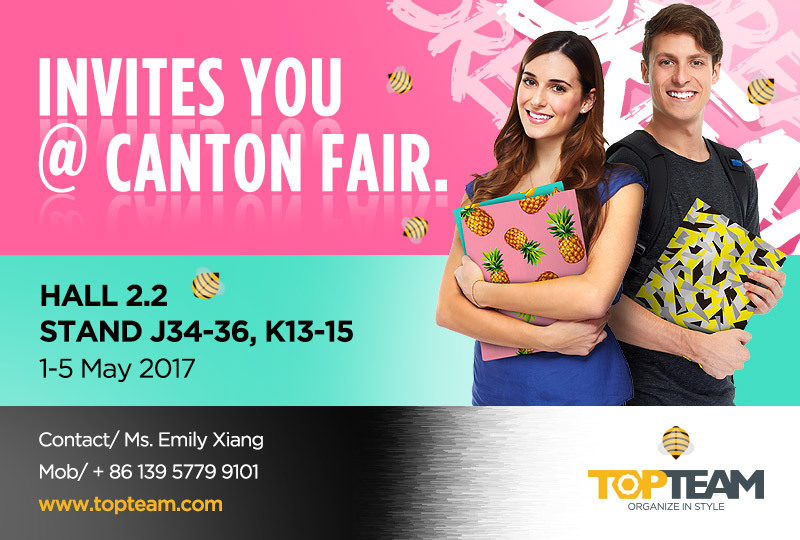 Here we sincerely invite you to visit our booth during the Canton Fair . We are very glad to present you with our eye-catching new collections and competitive regular products. We are sure these appealing products will make you more profitable and attract more customers! please kindly arrange an available meeting time with us during the fair. © 2015 TOPTEAM INTERNATIONAL GROUP. All Rights Reserved.